Enjoy the sights, sounds tastes, scents, of this enchanting place as you stroll from house to house or around the charming village street complete with school, post office, doctors house, hardware shop, printers and of course McNamara’s pub! Browse the castle and marvel at the finest collection of medieval furniture in the country which brings to life a vital part of our Medieval past. You can explore at your own leisure or join in a guided tour withour experienced guides. 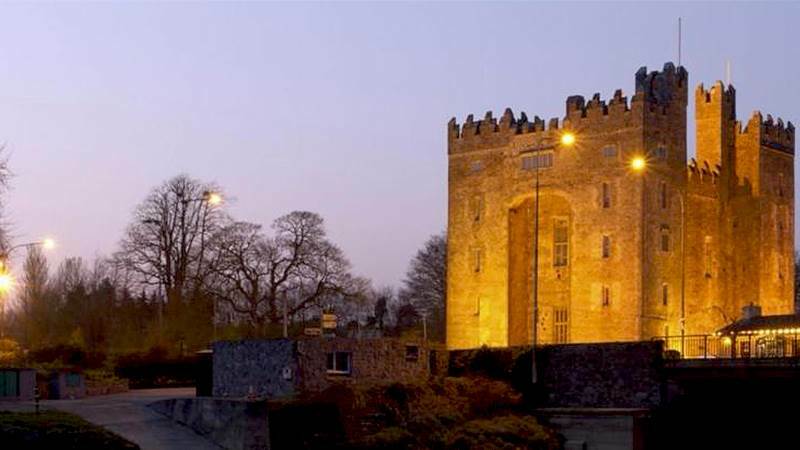 Enjoy a medieval banquet in one of the most accurately restored castles in Ireland. The banquets are held nightly where the castle is the impressive setting for the medieval castle banquets. The banquets are held year round.